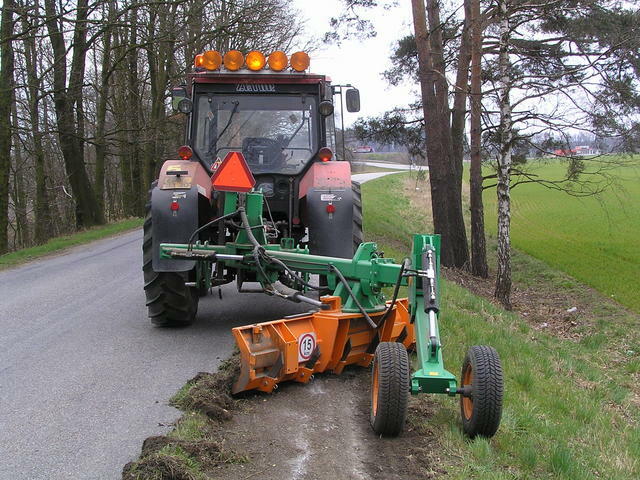 Machine Is designed for attachment to wheel tractor. 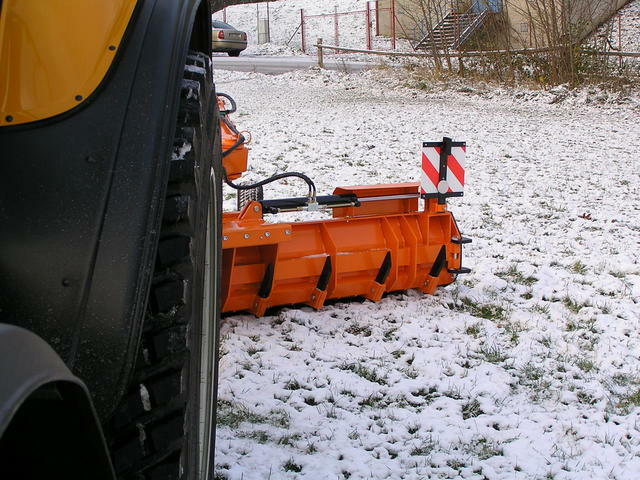 with minimal traction power 48 kW. 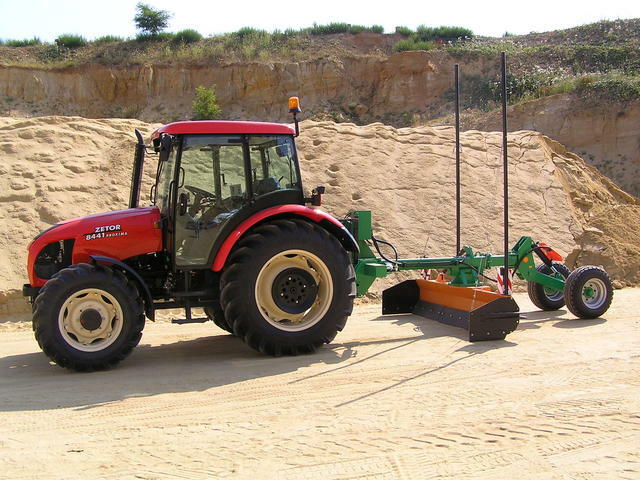 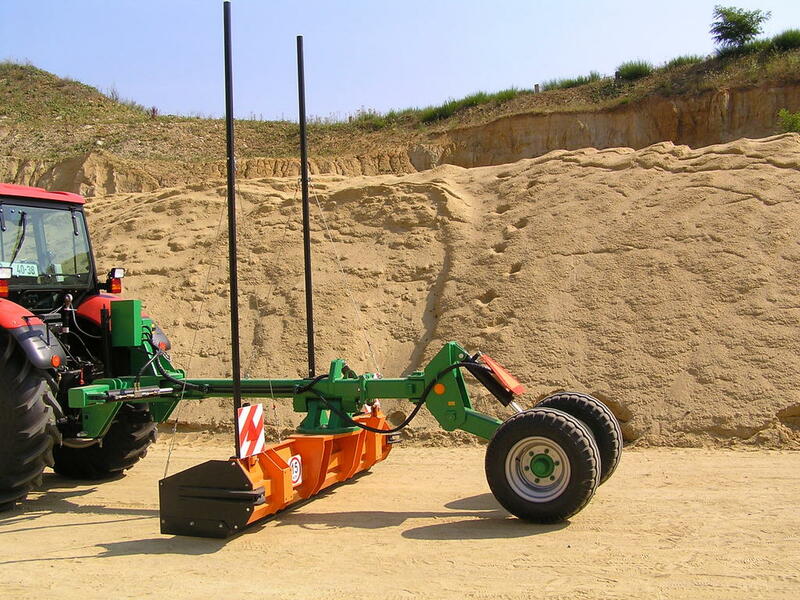 For stability securing of whoie set is necessary use tractor with front driving axie. 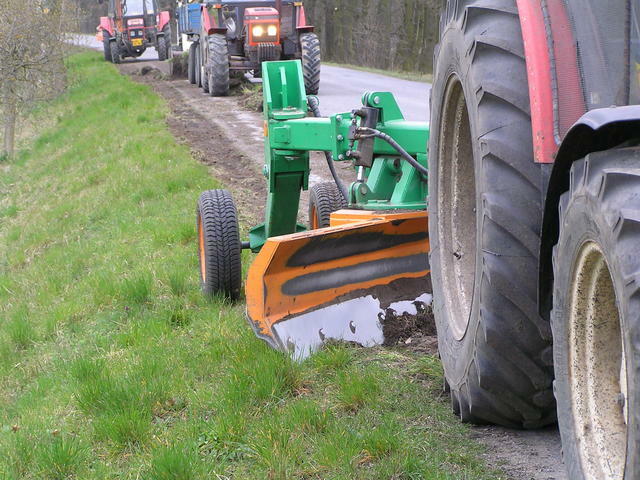 Au controi eiements Is possibie hydraUiic controi from tractor cabin. 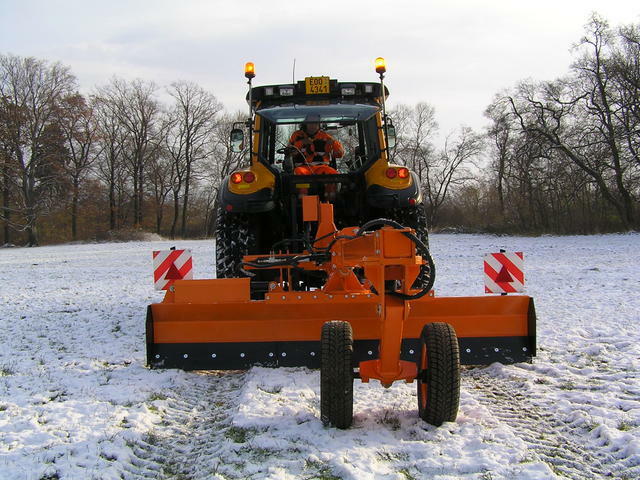 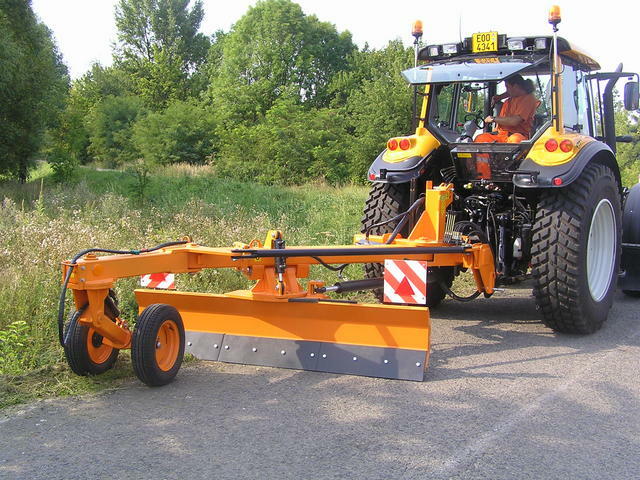 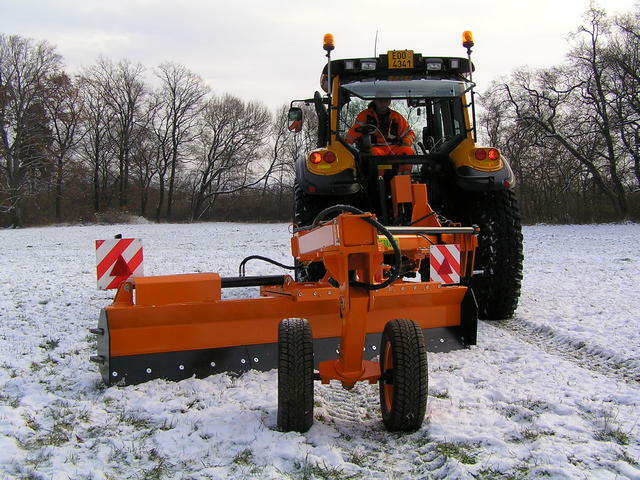 Semi-attached eqUipment Is designed for buiiding and maintenance of forest access roads, rUral roads, triming of shoUiders, ieveiing of bUiiding bases, snow cieaning and chaneui fiiiing up. 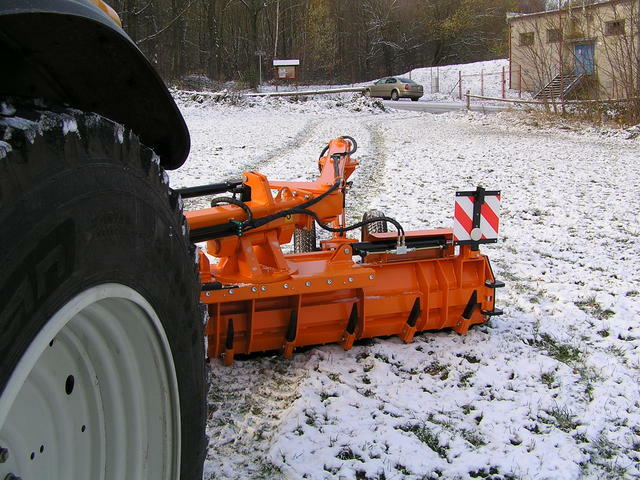 Aiso is possibie eqUip this machine with laser gUidance for very accurate base ieveuuing. 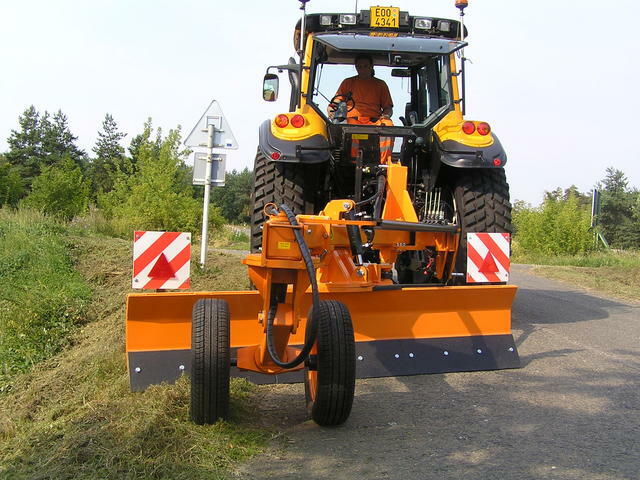 Machine is then possibie aiso Use for buiidings foUndation and bUiiding of groUnds and with regard to sizes and maneUvring possibiuity aiso for work In production hauis.